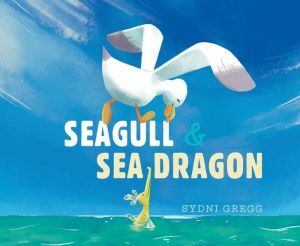 Debut author-illustrator Sydni Gregg explores the unlikely friendship between a seagull and sea dragon—and how their two worlds might be more similar than they ever could imagine. One comes from the sky. One comes from the sea. And both are scared of the other’s world. But when they meet, they discover they might have more in common than they ever imagined. Debut author-illustrator Sydni Gregg beautifully illustrates the idea that sometimes new friends can come from unlikely and unexpected places.